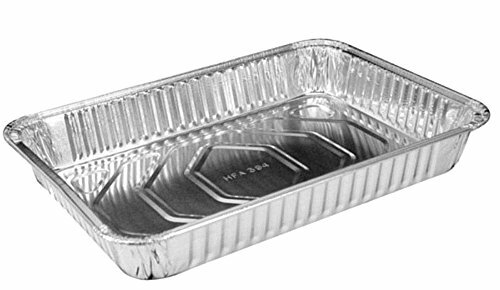 Premium quality Handi-Foil brand 13" x 9" x 2" oblong foil cake pan. Made with sturdy 40 gauge aluminum. Ideal for baking cakes, sweets, pastries, and more. No more messy clean-ups. Simply use one time and discard. OU Kosher certified. Proudly made in Wheeling, IL USA by Handi-Foil of America. Top Out: 13-9/16" x 9-13/16"
Top In: 12-3/4" x 9"
If you have any questions about this product by Handi-Foil, contact us by completing and submitting the form below. If you are looking for a specif part number, please include it with your message. Parrish Magic Line Square Pan 9" x 2"